This entry was posted in Weekend Coffee Share and tagged books, ebooks, paperbacks, Spirituality, weekendcoffeeshare, writing. Congratulations on completing your book in both paperback and ebook. Thank you. The new book is titled An Echo in the Woods. It can be found on Amazon. Congratulations on your book. As someone returning to the #weekendcoffeeshare link up myself – Welcome Back! Doesn’t it feel great to be back? Thanks Vernette. It does feel good to be back and see what everyone is up to. Congratulations! Welcome back and I look forward to checking out your book! Thanks Kathleen. It’s nice to hear from you. Congratulations on the book, that is exciting stuff. I love the image you included with this post, it is very mystical and inviting. Great post, thanks for sharing. Thanks. The image is a painting by a Russian artist. I found it very inviting also. The scene is so tranquil. 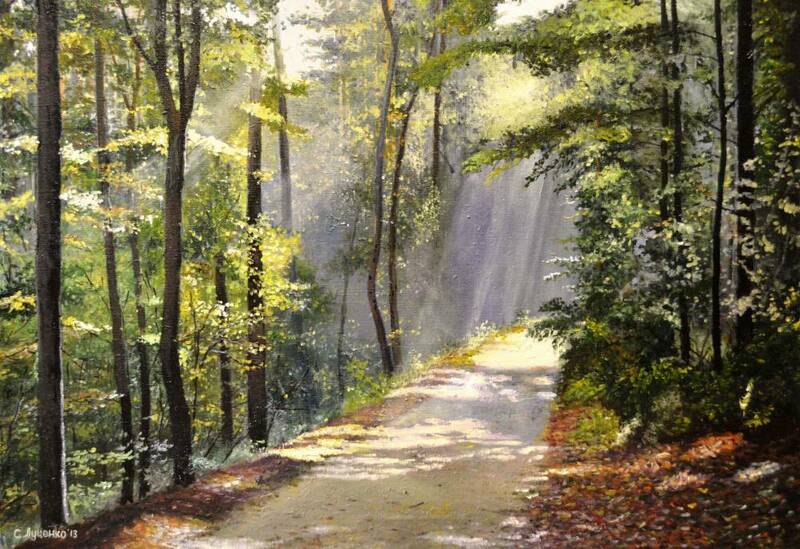 I want walk that path and feel the soft light on my skin.